The largest of the NexStar SE family with 78% more light gathering than a 6" model, the NexStar 8 SE will enable you to see deep into the Universe. The distinctive patented fork arm with ergonomically designed integrated hand control cradle gives solid support to Celestron’s classic 8" optics. The NexStar 8 SE features Schmidt-Cassegrain 8" aperture optics with our premium StarBright XLT coatings, powerful 2,032mm focal length and an f/10 focal ratio. 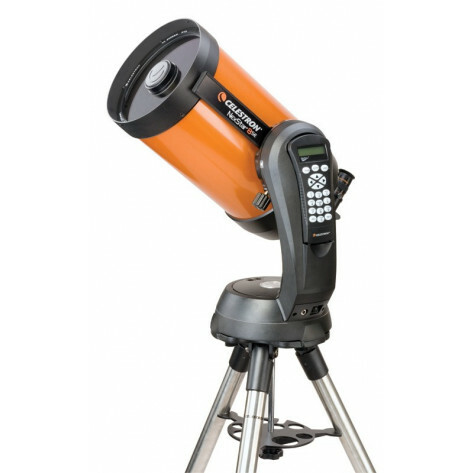 The NexStar 8 SE has all the same features as Celestron’s most advanced computerized GoTo telescopes, including our revolutionary SkyAlign™ alignment technology, a sky tour feature, a database of over 40,000 celestial objects and easy to use hand control. Plug the optional SkySync GPS Accessory into NexStar’s Auxiliary port and download data from orbiting GPS satellites for truly quick and easy alignments. The universe may be full of mysteries, but using the NexStar 8 SE isn’t one of them. 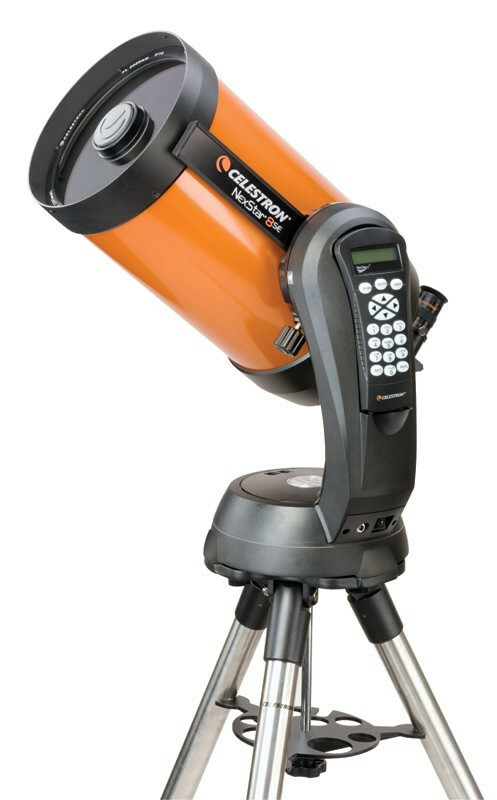 In the tradition of Celestron's famous orange optical tubes, the new NexStar SE Family combines the classic heritage of the original orange tube telescopes with state-of-the-art features including a fully computerized operating system, flash upgradeable hand control, superior StarBright XLT coatings, our revolutionary SkyAlign™ telescope alignment software and much more. Every NexStar SE includes a version of TheSkyX® software Level 1 Planetarium software for exploring the Universe on your PC and printing out custom star charts of the sky. In addition, you receive our NexRemote software that allows you to operate your telescope via your PC. Software package valued at over $100 included free with your NexStar SE!